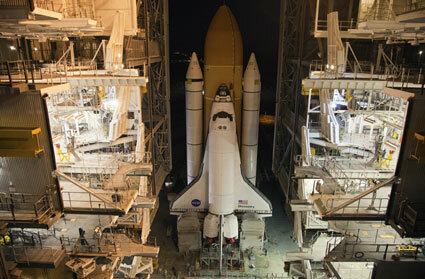 Space Shuttle Discovery will not launch until Dec. 17th at the earliest. NASA is still looking at issues involving cracks in several aluminum stringers on the external tank and problems with the ground umbilical carrier plate, or GUCP. NASA managers will meet on Dec. 2nd for the next review. I'll be in Florida in 2 weeks and will get some pics of the big bird on the pad and share them with you. This Monday, 11/29/10, at 6pm, the George Mason Univeristy Observatory will be open to the public. Check out the web site - http://physics.gmu.edu/~hgeller/observing.html for further details. We will have an observing session looking at Jupiter and other celestial objects. Bundle up and come on out and join us. Be sure to check the web site on Monday for weather updates. Happy Thanksgiving to our US readers! May you & your have a wonderful day. Telescopes worldwide - amateur and professional - are monitoring Jupiter on a nightly basis to watch the return of the Southern Equatorial Belt (SEB). In the past week there have been 3 different "eruptions" in the area where the SEB is located. The SEB is one of two brownish colored belts that are near the equator of Jupiter. For reasons unknown the SEB, and not the North Equatorial Belt (NEB), has been observed to fade and then return 1 to 3 years later. The observed eruptions are thought to be the precursors to the return of a robust SEB. We'll keep monitoring this story as it develops. A scant month from now Christmas and other religious holidays will be upon us. If you have someone on your gift list who has interest in the sky I have a few buying suggestions for you. Giving someone a year long subscription to an astronomy magazine is a GREAT idea as they get a monthly reminder of your thoughtfulness. There are two magazines - Sky & Telescope http://www.skyandtelescope.com/skytel and Astronomy http://www.astronomy.com/en/Magazine.aspx that cover a wide assortment of topics each month and provide star charts and observing events for the month. You can't go wrong with either one. If you go to either of the web sites of S&T and Astronomy you will find great stocking stuffers in the form of astronomical calendars. They combine great astro pics with daily information. Hey, this is THE thing to get for your astro pal....a flashlight with red LEDs or a red filter. These are REQUIRED at star parties in order to preserve night vision and exercise astronomical etiquette -no WHITE LIGHT allowed. This one might even be for you! Buying a quality telescope is a wise investment for a lifetime. There is a LOT to consider in buying a telescope. If you are considering such a purchase, check out the S&T & Astronomy magazine web sites as they have sections on choosing a telescope. You can also drop me a line. Give these suggestions some thought for the sky guy or sky gal in your life. They will really appreciate the thought. The study of the origin, evolution and destiny of the Universe is what Cosmology is all about. Current popular theory states that the Universe was created 13.7 billion years ago in an event called the "Big Bang". 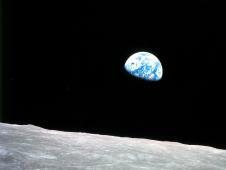 In that singular event time and space itself was created, and has been expanding ever since. Most cosmologists - but not all as you will see - theorize that the very, very young Universe underwent a period of inflation in which space expanded swiftly and significantly. The thinking now is that the Universe will expand forever and eventually will become a dead, sterile and dark entity - devoid of anything except a soup of exotic particles. Two cosmologists have taken exceptions with the prevailing view and think that they have found evidence to indicate that there was a previous existence of another Universe, or what the authors call an "Aeon". In fact, they propose the possibility of a "perhaps unending succession of Aeons". Their evidence comes from the study of satellite microwave data that mapped the temperature of the observable Universe dating back to shortly after the Big Bang - the energy echo of that creative event is still visible. I must confess that the idea of a recycling Universe is far more pleasing (and efficient) to me than a one shot and done grand plan. I have included the link to the paper - take a peek and enjoy!Come on, give your brain a work out! A black hole or neutron star is the end state for a super-massive star that ends its life as a supernova. Black holes are objects where gravity is so powerful that nothing, not even light, can escape. Neutron stars are objects the size of a city that pack the mass of our whole Sun in such a small space. Both are fascinating and exotic objects. 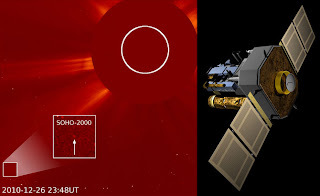 More observations with NASA's Chandra mission should resolve this question. Well, we lost another giant in the astronomical community - Brian Marsden. This was THE guy that the whole astronomical world turned to when they had spotted a new comet, asteroid, nova or some new discovery in the sky. He served as the long-time director of the International Astronomical Union's Central Bureau of Astronomical Telegrams (until 2000) and its Minor Planet Center (until 2006), positions that effectively made him and his small staff the worldwide clearinghouse for astronomical discoveries. As busy as he was he always found time to talk to and help amateur astronomers. He was a real treasure. The astronomical community lost a true luminary in the history of the science with the passing of Allan Sandage on 11-13-2010. Allan died of pancreatic cancer. He was very important to the work of Edwin Hubble as he essentially took over all of Hubble's observing programs when he died in 1953. Born in Iowa City, Iowa, June 18, 1926, Sandage grew up to define the fields of observational cosmology and extragalactic astronomy. He received his B.A. in 1948 from the University of Illinois and his Ph.D. from the California Institute of Technology in 1953, where he was the famous astronomer Walter Baade’s Ph.D. student in stellar evolution. During the early 1950s he served as Edwin Hubble’s observing assistant at the Mount Wilson and Palomar Observatories. Hubble, for whom the space telescope is named, discovered that the universe is larger than the Milky Way and that it is expanding. Sandage joined the staff of the Carnegie Observatories in 1952 and, after Hubble’s death in 1953, Sandage became responsible for the cosmology program using telescopes at Mount Wilson and Palomar. His primary focus was to carry on Hubble’s work and determine the rate at which the universe is expanding, research he continued for six decades. Even though he officially retired September 1, 1997, he was still actively working until August of this year. the universe. He developed new techniques for observing, which affected a broad range of astronomical topics. Peter Gruber Foundation in 2000. Sandage is survived by his wife, Mary, of San Gabriel, California, and two sons David Sandage and John Sandage. I remember seeing Allan on TV and reading about his work, especially quasars in the 60's. Hear about the Mars mission being proposed by some scientists that would be one way? Their idea is that it is far simpler (and faster) to send humans to Mars on a one way trip - leaving Earth never to return using their original spacecraft - and staying on Mars. To go one way cuts down on the complexity and cost and they think the technology exists to do such a mission fairly soon. They do not liken it to a "suicide mission" as the astronauts would be resupplied via regular flights to Mars. We are sending missions to Mars now about every 2+ years. I am sure there are plenty of people who would volunteer for this mission. It has been likened to the earliest ocean voyages of explorers who left their homelands for the unknown far reaches of our planet. NASA has said it does not consider such missions as they want to get their people back. But a mssion funded and launched by a private entity might consider doing so. Jupiter South Equatorial Belt (SEB) Revival? Modern telescopes, including those used by amateur astronomers, have shown Jupiter to have 2 main equatorial belts, north and south. These belts are situated within the seething atmosphere of Jupiter and have been seen for centuries. There has also been times when one of them would fade away and disappear. The SEB did just this a few months ago and I must say it was strange to look at a singular belted Jupiter. Observations by amateur and professional astronomers in the past few days have now found evidence for a possible revival of the SEB. With space and ground based telescopes this predicted revival will truly enhance our knowledge and understanding of the king of the planets. If you have a telescope make sure you tune in for a "good ol' SEB revival" at the eyepiece. Was up today, 11-10-10, at about 0550. Went outside to check on the sky as I always do in the a.m. as well as at night before turning in. The sky was crystal clear and Venus was blazing away in the southeast.....brightest object in the sky with a greenish-white tint. I detected the phase of Venus with binoculars. Venus has phases just like the Moon - all the planets do - because of orbiting the Sun. Make sure you take a peek at the "Morning Star" before it starts getting too light. Venus will be getting higher in the sky as the month goes by. Can you see the Big Dipper standing upright in the northeast? This frame from a video shot by a news crew in a helicopter flying in southern California has made national news as no one from the U.S. Government can lay claim to what caused the observed phenomena. NASA and DoD denied any kind of a missile launch and the FAA stated that they had not issued any commercial rocket launch clearance. To me this is an aircraft contrail-optical illusion. 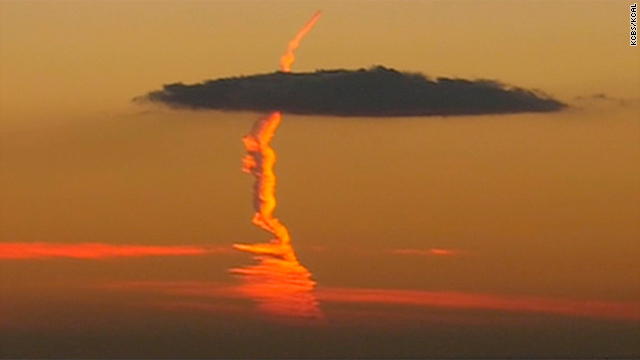 High altitude contrails at sunset can take on unusual appearances. This makes more sense than believing that there was a missile lauch that no one knew about! Wanna' see a bigger mystery? Check out my blog on the blue light over Centreville that took place last week.......still scratching my head over that one! Well, how are you doing adjusting to Standard Time? We officially ended Daylight Savings Time on 11-7-10 at 0200 so it is darker earlier. Of course that means there is more "night" available to look at the sky. We are also losing several minutes of daylight each day as we get closer to the start of winter which occurs on the winter solstice, December 21st. The constellations of summer are fading into the sky glow in the west after sunset and the fall constellations are prominent now as darkness falls. For you early risers the stars you see in the south before it starts getting light are the beauties of winter. The really bright star you see in Sirius. To be seen on a cell phone camera at all it has to be bright and it does move relative to the foreground objects. Don't know what it is......the true meaning of a UFO. Today's launch attempt for Discovery was scrubbed due to a hydrogen leak at the Ground Umbilical Carrier Plate, or GUCP and a detected crack in the foam insulation of the External Tank. The earliest launch attempt will be November 30th. STS-133 is taking spare parts and supplies to the International Space Station. My Oh My, What A Flyby! 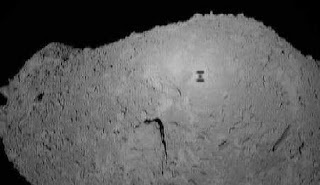 Deep Impact/EPOXI did it! The 465 mile close approach to Comet Hartley 2 was a complete success. Data was received and is being processed and examined. 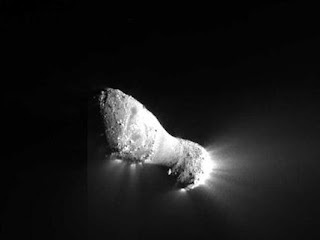 By all accounts only the 5th close encounter with a comet ever that happened today will provide new insights on these fascinating solar system formation leftovers. Discovery's launch was postponed for a day with launch for Mission STS-133 to the International Space Station (ISS) now set for Nov. 4th. We also have the rendezvous of the Deep Impact/EPOXI spacecraft with Comet Hartley 2 on the same day. We will be monitoring these missions tomorrow and will share thoughts tomorrow night. We had a grand time at GMU Observatory last night as 65 star gazers showed up and braved the chilly air to see a variety of objects. We looked at a star cluster, a globular cluster, a spiral galaxy, an Iridium Flare and constellations. We tried to see the International Space Station (ISS) but it was too low in the sky and was blocked by tall trees. ISS marks its 10th anniversary today and tomorrow Space Shuttle Discovery will launch on mission STS-133 to take supplies and equipment to ISS. ISS will be getting its own robotnaut to help in Station operations and upkeep. Let's hope we get some favorable flyovers so we can see Discovery and ISS in their orbital chase to rendezvous. 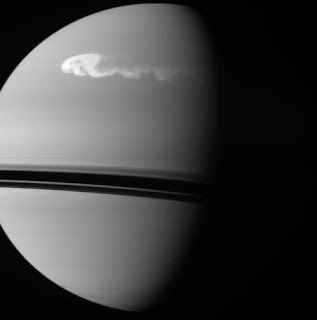 Any Saturn lovers out there? Saturn is slowly making her way higher in the pre-dawn sky as the month progresses.